Adolescence, a time in life where exploring independence and social identity are often confronted. It’s a time when teens are confronted with the challenges of a world that is continually increasing in online social access and platforms. Terms such as “cyberbullying” have become more common in homes, schools, and counseling offices across the country. Cyberbullying is defined as willful, repeated harm inflicted via electronic means. Between news reports and research, cyberbullying has had an increase presence in society. Creating negative results for both the target of the bullying and others who bully. Research is clear on the effects of cyberbullying. Cyberbullying increases the likelihood teens may experience: sadness, anger, frustration, embarrassment, fear, suicidal ideation, aggression and fighting and drug use. Teens involved in cyberbullying are also shown to be more likely to carry a weapon at school or to drop out of school. Research has also connected cyberbullying to an increased likelihood a teenager would engage in self-harming behaviors. A general way to define self-harm is the infliction of pain onto oneself (this does not include involuntary neurologically triggered actions due to a disability). The World Health Organization (2014) found, of the 15 year olds sampled, 20% self-harmed in the last year. Considering the percentage found, understanding and treating self-harm is imperative. When discussing self-harm behaviors it is important to note that self-harm and suicide are distinctly different yet both are of concern and require assessment and treatment. Self-harm is non-suicidal however, self-harm can lead to death. Forms of self-harm may include direct or indirect and vary greatly in presentation, presence with other behavioral health concerns, as well as severity or context. Direct self-harm (self-mutilation, self-wounding, or self-injury) is the direct destruction of body tissue without suicidal intent. Examples include, cutting, scratching, burning (ice, eraser, etc. ), bleaching, or other self-mutilation. Indirect self-harm is an infliction of injury and is without suicidal intent however is a mistreatment or abuse of oneself without the direct infliction of injury or damage. Examples may include eating disorder behaviors, ongoing substance use, or risky behaviors. With the addition of digital context and social media presence, the discussion of self-harm in an online context is important. While “digital self-harm,” “self-cyberbullying,” and “self-trolling” are relatively new terminology there has been recent attention by the research community as well as the media. Self-trolling is prompting others criticism, such as “roasting” on popular sites such as Reddit or in social circles on other social media outlets. Digital self-harm is activity online that leads to, supports, or exacerbates, non-suicidal and intentional harm to the wellbeing of an individual. For example, an individual is participating in online communities or communities that support cutting behavior thus reinforcing self-harm. The April, 2018 edition of the Psychology Monitor, Paul Nicolaus identified research by Patchin and Hinduja (2017), who also identify digital self-harm as behaviors where an individual sends online messages that are harmful or threatening to oneself. In their research, they studied 5,593, 12-17 year olds and found that about one in every 20 adolescents will digitally self-harm. Digital self-harm is more likely when the adolescent has self-harmed offline or has experienced bullying. Motivation for digital self-harm may include self-hate, humor, depression, or attention seeking. 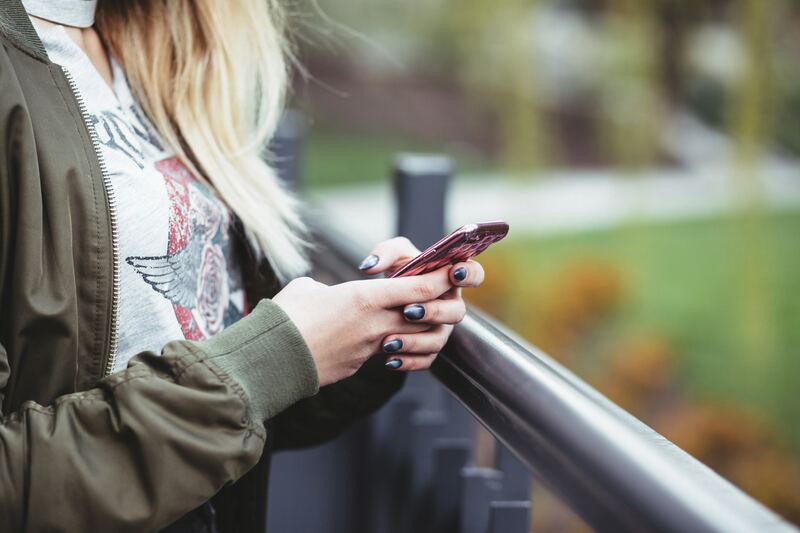 Regardless of the motivation it is important for parents, schools, behavioral health providers, and other adults to be aware that digital self-harm is of concern and to get behavioral health treatment if needed and emergency help if harm may be imminent. Regardless of the type of self-harm, or bullying (others or self) a gentle approach, with support, love, and validation is important. Knudson, P. (2018). Mean messages: Study shows some teens engage in ‘digital self harm’. TCA Regional News; Chicago. Opposing Viewpoints. (2017). Both the aggressor and the victim: Alarming number of teens cyberbully themselves. Mental Health Weekly Digest. Whitlock, J., Lader, W., & Conterio, K. (2007). The internet and self-injury: What psychotherapists should know. Journal of Clinical Psychology: In Session, 63(11), 1135-1143.